The TracPhone FB250 is the perfect solution for owners of leisure yachts who desire or require the same Internet experience at sea that they enjoy at home and in the office. The compact, low-profile antenna will bring lightning-fast broadband connections and simultaneous, reliable telephone service to your boat at an affordable rate. Best of all, the system's compact design is easy to install and looks great on any boat. This system provides easy, global access to e-mail, Internet, and Virtual Private Networks (VPNs), as well as telephone services, creating an "office at sea" that can travel with you wherever you go. 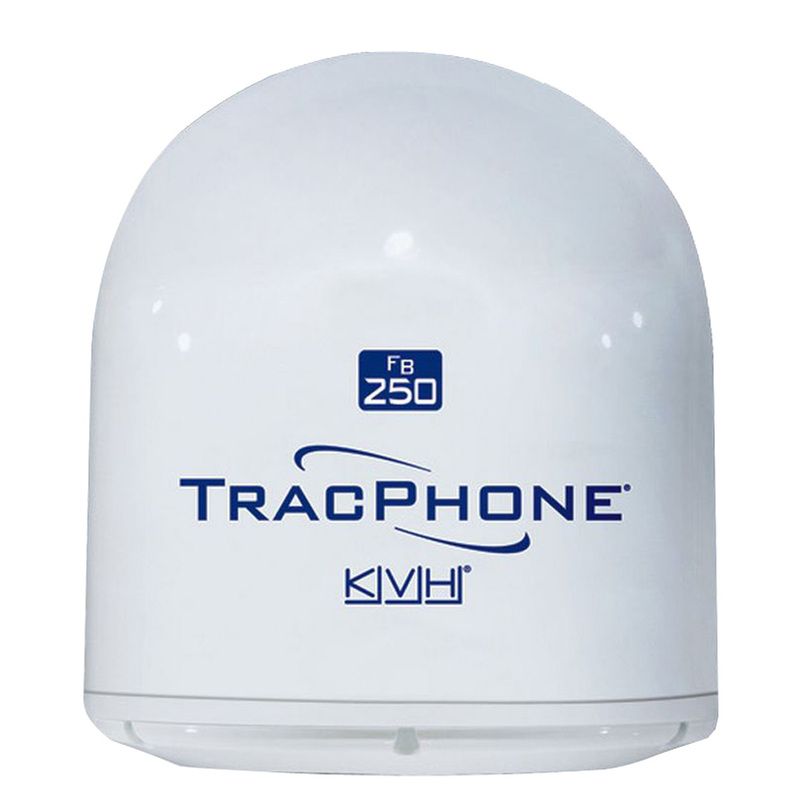 With the TracPhone FB250, you will enjoy Internet and telephone connections just like the ones you have at home. By keeping your passengers and crew happy and connected to home, you are making an investment in your boat that will be valuable for years to come.